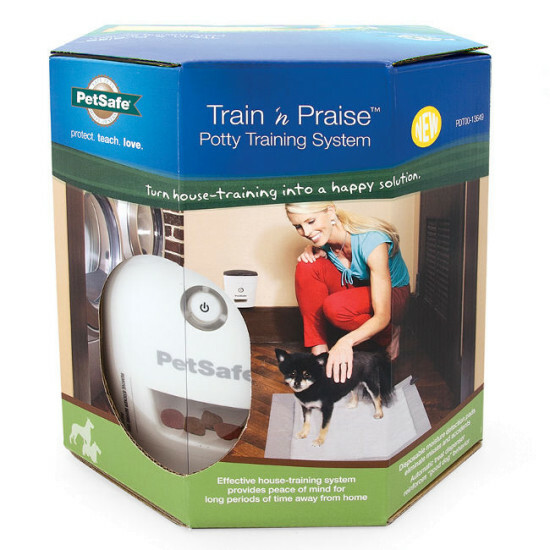 The Train ‘n Praise™ Potty Training System pairs an absorbent pee pad with a treat dispenser for easy house training and obedience training. This consistent, convenient potty training tool uses treats to encourage good behavior and allows training to continue while you're away. 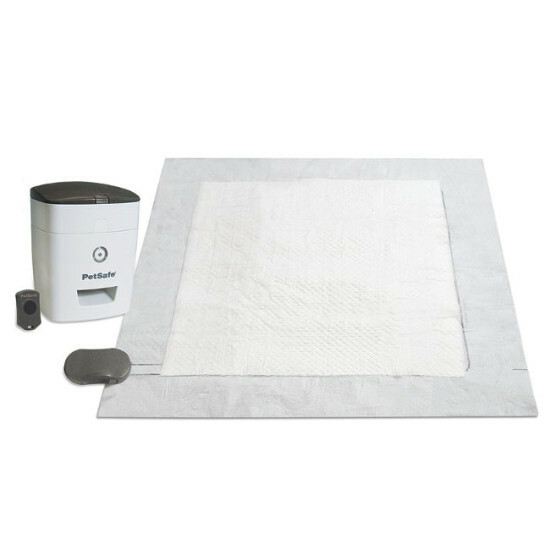 As your dog pees on the replaceable pee pad, the moisture alerts an internal sensor in the pad, which wirelessly sends a signal to the treat dispenser. 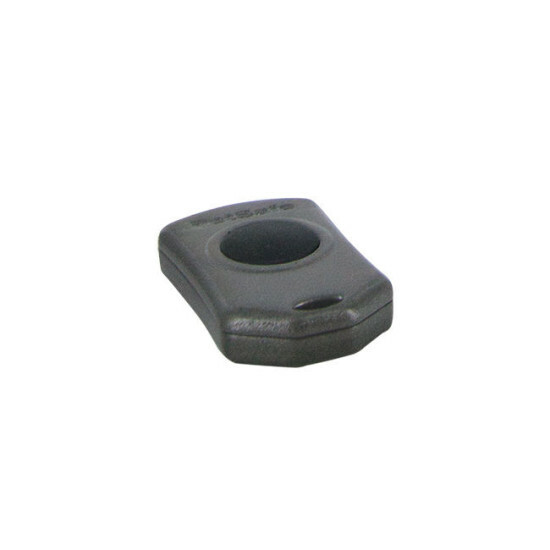 The treat dispenser then releases treats or kibble, rewarding your puppy for using the pee pad instead of your floor. 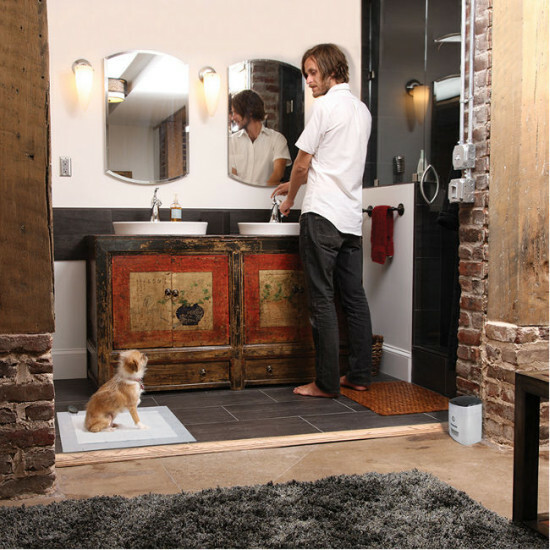 Urine is trapped in the leak-proof bottom layer of the pee pad, leaving your floor clean and dry. Young puppies often learn quickly, and even non-housebroken adult dogs or senior dogs who have lost bladder control can easily learn where it's okay to use the bathroom. Once your pup is fully house trained, use the treat dispenser and remote to teach new commands or better behavior. Teach your dog not to jump or bark at visitors or teach him fun tricks like Sit, Shake, Roll Over, and High Five. Place your dog on the pee pad when he normally has to use the bathroom. The best times are before bedtime, first thing in the morning, and after eating or drinking. When your dog is on the center of the pad, say a cue word such as “Bathroom” and give a treat from your hand. Next, practice treating your pet with the dispenser. Every time your pet pees on the pad, use the handheld remote to dispense a treat. Attach the pee pad clip to the pad. 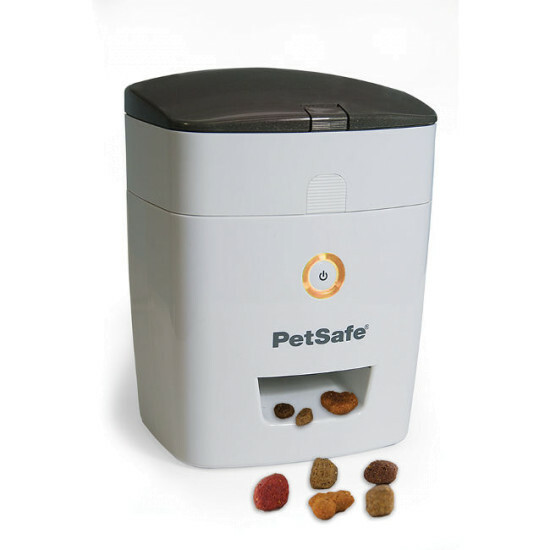 Every time your pet pees on the pad, the dispenser will automatically give him a treat. Your dog's potty training can continue even when you're away, for a consistent, effective training experience. 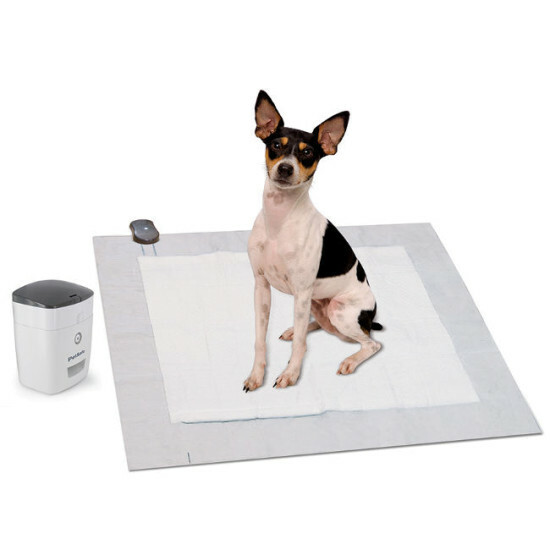 Most pets learn quickly in 2-4 weeks to use the pee pad. Once your pet is potty trained, you can use the treat dispenser without the pee pad to teach your dog other commands. Redirect your pet's bad behavior with a command for the behavior you want. The treat dispenser lets you reward your dog for good behavior and easily teach new commands.